What is the 2018 Outlook for Global Crude Supply Demand Balance and Crude Price? This Drill Down episode gives an executive summary of the February 2nd,2018 Oil & Gas Journal (“The Journal”) webcast discussing the global crude supply-demand outlook, and the impact on crude price. We welcome back Joe Perino to this podcast. We do not cover the extensive amount of data presented in the webcast. You can access all the details in the January 2018 issue of the Journal, or on their website. We do present updates to the Journal team observations since the webcast, and some of the business drivers behind the data -The so-called words behind the music! Hi everyone. 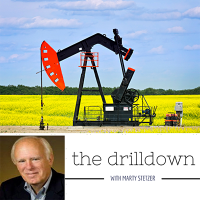 Welcome to the Drill Down with Marty Stetzer. This podcast is part of our EKTI oil and gas learning network, brought to you by Oil 101, our free introduction on how the oil and gas industry works. Today you’ll hear our sixteen-minute executive summary of the recent Oil & Gas Journal Forecast and Review webinar, held on February 2nd, 2018. Two editors presented and eighty-minute global outlook for crude oil supply, market demand, and a crude price forecast for 2018. Note that our Downstream Outlook podcast summary from Hydrocarbon Processing is already published on our website. Today I’m again joined by Joe Perino, a long-time friend and industry veteran. You’ve heard Joe’s popular “Sound-off” series on our website. Joe: Thanks Marty. Nice to be here. Note that we will not try to cover or repeat the extensive amount of data presented in the webinar in our podcast today. You can access all the details in the January 2108 issue of the Journal, or on their website. We will present updates to the Journal team observations since February 2nd, and some of the business drivers behind the data… The so-called words behind the music! A key webinar presenter was Bob Tippee, now the Chief Editor of the Oil and Gas Journal, and a widely recognized senior industry expert. In Bob’s opinion, supply management by both OPEC and Russia has been crucial to balancing the oil market in 2017. It’s really extraordinary in terms of the degree of compliance and the duration of the production agreements, which have already been extended through 2018. OPEC’s historic cartel activity usually dies of its own success. As prices rise, the supply restraint usually gives way to cheating – but not so far. Furthermore, the market knows that there is plenty of crude supply at least through 2020. Another factor in the supply equation is the explosive level of US shale oil activity. Historically, when OPEC would restrain production, the supply response had to go through a long and costly exploration cycle. Now, US producers respond to higher prices as quickly as it takes to find a rig, drill, and complete a well. As we saw in 2017, when prices neared the $50 per barrel mark, US drilling came back strong. And this is not to mention the backlog of several thousand DUCs (drilled but not completed wells) still remaining. Today, a big question is whether tight oil production can keep growing. Many experts think the production growth is surprising – but it’s been real. The US rig count grew 43% in 2017, with the Permian Basin leading US production. Some current Permian wells are economic at pretty low prices. By the way, that’s also led to Texas being the number seven oil producer in the world, with somewhere over 3 million barrels. However, at some point there will be a diminishing supply of what are called sweet spots. Even though continuous shale reservoirs contain enormous amounts of hydrocarbon, some parts may not be as responsive to horizontal drilling and hydraulic fracturing as others. Be that as it may, on February 6th (just a few days after the webinar!) the EIA (Energy Information Administration) increased their forecast of US crude oil production in 2018 and 2019 to over 11 million barrels a day – far exceeding the production rates of both Saudi Arabia and Russia. As knowledge about the reservoir and know-how about drilling and completion grows, shale supply grows. Operators are now leveraging that knowledge with new analytical methods using big data concepts. To illustrate, Bob presented a Chesapeake Energy presentation which listed a series of analytic applications that producers now use to increase performance of these technical wells. Supply is now more of a function of knowledge and know-how, and less of geological luck, than it used to be. See our website for numerous podcasts on the way Big Data and the Internet of Things revolution are changing the upstream industry. Going back to the Middle East… Production compliance is all the more remarkable given new geopolitical challenges. Persian Gulf producers are always in some sort of antagonism, but it’s higher now than it has ever been in a long time — especially between Saudi Arabia and Iran. Though the Iranian protests seem to have subsided, they could have drastically affected Iranian production. Additionally, we saw Iraq trying to disrupt pipeline exports from Northern Kurdistan. The dire situation in Venezuela with an evolving dictatorship and a collapsed economy. This has caused serious deterioration in crude oil production. Venezuela has been unable to stop a six-year-long production decline – with the country only producing 1.8 million barrels per day in 2018, down from 2.9 million barrels per day in 2014 – a 28-year low, and down nearly 300,000 barrels per day from 2016 alone. Financial difficulties further limit production, as access to vital diluent imports is needed to produce more heavy bitumen. A second hotspot is in Nigeria, where militancy could continue. In 2016, Nigerian production fell 600,000 barrels a day because of coordinated and sophisticated attacks on oil installations, led by the Niger-Delta Avenger militants. A third hotspot is Libya’s production of approximately 1 million barrels per day, up from a low of 200,000 barrels per day in 2014. But it continues to yoyo with closing of ports and pipeline disruptions as the civil war continues. Loss of production in any one of these areas will also affect crude price. Remember, for crude oil, like other commodities, small swings in supply demand lead to large swings in price. Now back to Marty for demand and crude price observations from the webinar…. Next I’ll cover the presentation made by Dr. Conglin Xu, economics editor of the Oil & Gas Journal since 2012. She first elaborated on the global oil balance. Here, her analysis indicated the oil market is tightening as inventories are reduced and consumption is growing. According to Dr. Xu, global crude oil demand growth is expected to be very strong, because it’s so closely related to economic growth. According to the World Bank, the global economy is experiencing a very broad-based cyclical upturn, which is expected to continue over the next couple of years. For example, in the OECD… in Europe and Japan economic growth has slowed, but the US is likely to be an exception, thanks to recent government policies. The primary oil demand growth will come from emerging markets, as this sector continues to experience population growth, industrialization, and urbanization. High commodity prices also help, because many emerging economies are also commodity exporters. High commodity prices ultimately improve the funds available for consumption of refined products. Finally, a word about China …China’s oil demand is important to the global oil market supply demand picture. Though oil demand is growing, the Journal experts expect the growth rate to be half in 2018 versus 2017. As many of you may know, the Chinese government is also promoting electric cars that will further restrict the use of diesel and gasoline. Turning to crude price… 2017 reminded us all how volatile the oil market could be. As OPEC implemented their production cuts, the Brent crude price started the year at the mid-$50’s per barrel. The US shale producers then profited from the OPEC strategy – with very aggressive capital spending projects, which increased their production rapidly to high levels. Then the oil price plummeted again to mid-$40’s per barrel. Another important pricing impact in 2017 was the widening of the spread between Brent and WTI. This occurred because Brent went up in response to the global drawdown in supply from the major oil producers, while WTI in the US was depressed because US output continued to outgrow US demand, especially for the light sweet crudes coming from shale plays. The spread that was $1.72 per barrel in 2016 became almost $4.00 per barrel in 2017. This wide differential boosted US crude exports to Asia and Europe – upsetting some OPEC producers. The Journal experts estimate that US crude oil exports in 2017 reached a record high of 1 million barrels per day. Product exports also exceeded 5 million barrels per day. That’s a very healthy increase, and US exports are expected to continue to surge given high oil production. In early 2018, price started moving off in the right direction – with Brent climbing to about $70 per barrel. This was a result of production cut success, some imbalances in the market, and severe decline in stocks. Dr Xu then covered three major factors used in her short-term 2018 crude price forecast. The first is the futures market which showed an expectation of between $40 to $85 per barrel at the end of January… a wide range. Because of this, she uses a different model with sophisticated regression techniques to determine her short-term price forecast. Her model uses real oil price which is deflated by the CPI – not the futures market data. This “real oil price” forecast has proven to be more accurate in the past. Her model runs showed that the oil price should continue to climb through most of 2018, reaching a peak of about $80 per barrel. Her model forecasts some decline in the fourth quarter – that honestly was very tough to explain! The recent strong crude price performance comes primarily from supply side considerations. It’s interesting that the demand side is not as important. Finally, speculation in the future market actually has a negative effect on current oil price. Seems that the traders act differently when prices are headed up or headed down. You can learn more from his numerous papers on the topic. 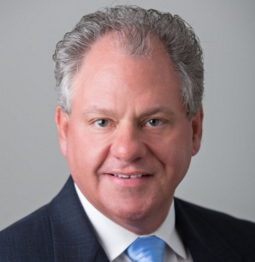 The 2018 crude supply outlook thanks to Bob Tippee, and demand and crude price covered by Dr. Conglin Xu during the Oil and Gas Journal 2018 Outlook webcast of February 2nd. We’ve just scratched the surface – there are many other interesting topics covered in the webinar and the Q and A. We hope you’ve enjoyed this executive summary, and we’re really happy to have Joe’s input during this session. Joe, anything to add before we wrap up? Yes, Marty. Right now the oil price is being held up artificially by production restraint, but as you pointed out, with the global economy rebounding and oil demand growing, it will be interesting to see when the deal between OPEC, Russia, and others breaks down and the spigots re-open in the race to capture market share and larger revenues …If we think volatility is a $10 to $15 per barrel variation, wait and see. All of this bodes for future volatility far ahead of today’s relative calm and moderately rising prices. Drop me a note to let us know if this podcast was helpful. And again, the Downstream Outlook from Hydrocarbon Processing is already posted on our website. To learn more about how the oil and gas industry works, be sure to check out our new and improved Oil 101 modules at www.ektinteractive.com. We now offer a mobile-ready version of our popular 10-part Oil 101 series – and a cost-effective design for your corporate learning systems. Let us know if you’re interested, and thanks again for listening.